Unless aggressive measures are taken to halt global warming, the consequences for human migration and displacement could reach a scope and scale that vastly exceed anything that has occurred before, according to a report released today during climate change talks in Germany. Climate change is already contributing to migration and displacement, the report from CARE, U.N. University and Columbia University found. All major estimates project that the trend will rise to tens of millions of migrants in coming years. 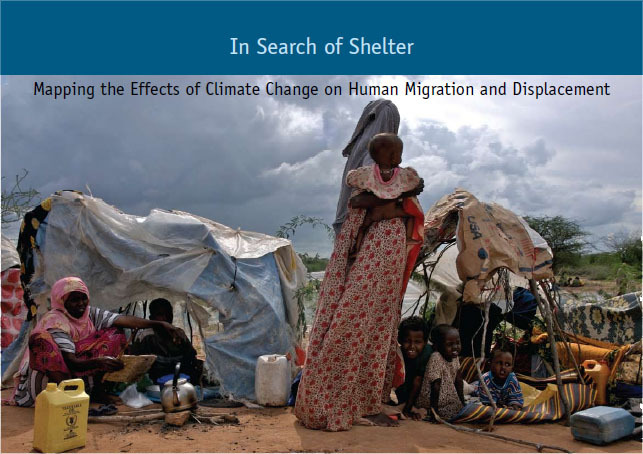 Within the next few decades, the consequences of climate change for human security efforts could be devastating, according to the report entitled, In Search of Shelter: Mapping the Effects of Climate Change on Human Migration and Displacement. Map 8: Sea level rise and The Maldives "